Who am I and what I do. Hello everyone ! I am Guillaume Tavernier, french illustrator. This Google+ page was created a few months ago. 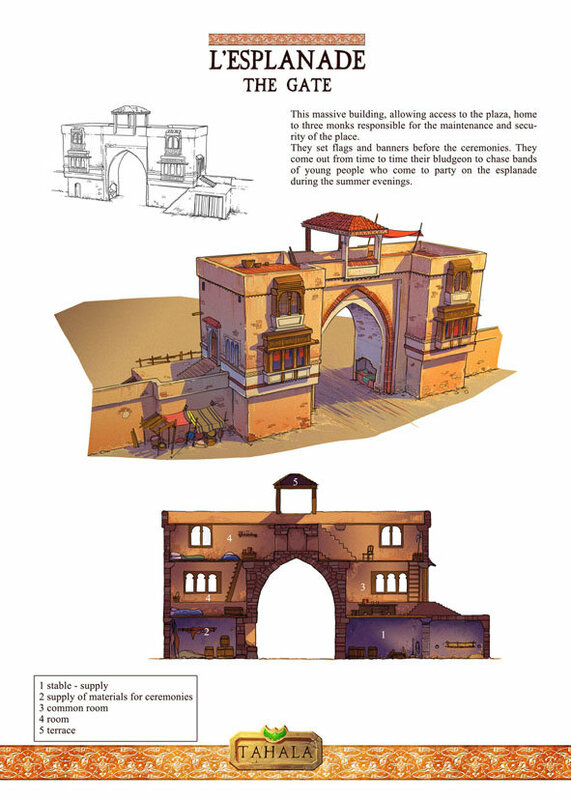 There you will find drawings of buildings with their inner architecture but also characters and cards. 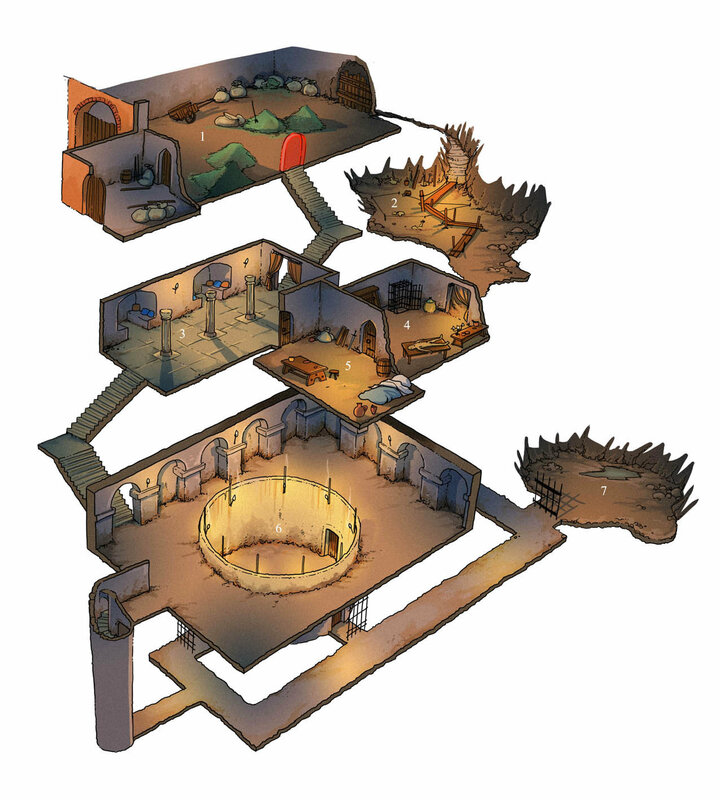 All these basic drawings are at your disposal and can be easily used with role playing games. 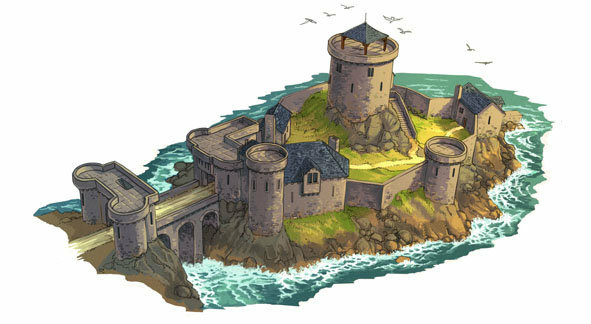 In fact, these buildings and characters can be very easily added to medieval and fantastic adventures. The places are generic enough to suit any type of games. Through this Patreon, you support the creations I offer on my Google+ page. 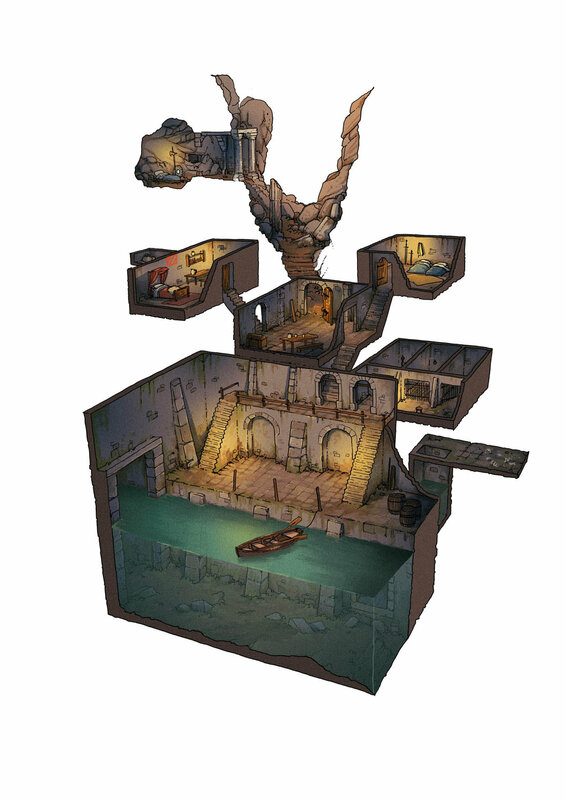 You will find drawings of dungeons isometric views, floor plans and elevations buildings. Instead of discussing, here are some examples of drawings. To thank you for supporting me, the Patrons receive a monthly PDF of all my drawings in the month, it included drawings of google + page and Tipeee France's page (Tahala's project). An example of Tahala's project. This project is on top of a long list. This is why I am asking you for some help to support this project through a sponsorship. Thanks to your investment, I see the support of this project and an encouraging way to pursue to bring to life my Facebook page and Google+ page. The Patreon system is simple. You help me by paying 2 dollars and as a return, I send you all my work of this month. You will only be charged when the new drawings are published. If I don't publish anything in 3 months, you won't be charged. (I am planning one udpate a month). One important thing, you stop whenever you want, there is no long-term engagement, you are the one who decides. What do the Patron get in return ? For 2 dollars, you have access to the illustrations, to the plans, in short, to everything that I draw. you give me some support and for this, thank you ! Thanks to you I can draw what I like and offer them to you. Each month you will receive a PDF of all my drawings made.